If your relative is deteriorating, does this affect eligibility in NHS Continuing Healthcare? If you’ve sat through an NHS Continuing Healthcare assessment for your relative and you know they’re deteriorating, and yet they’re found not eligible for NHS Continuing Healthcare funding, what should you do? 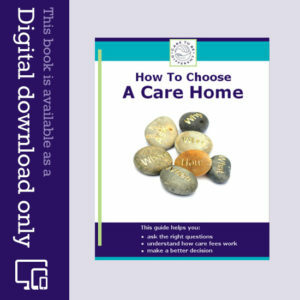 The first thing to consider is an appeal, and you’ll find lots of information on the Care To Be Different website to help you. In other words, if it’s pretty obvious that your relative will have deteriorated before the next NHS Continuing Healthcare review (which should be annually or less), the assessors can recommend funding immediately. Alternatively, your relative should be assessed again in the near future. The likely deterioration should also be included in the assessment notes. So this is a useful reference to point out to assessors in NHS Continuing Healthcare assessments, and something that should not be overlooked. Remember also that if your relative is already rapidly deteriorating, they should be Fast Tracked. Last week I attended a meeting at the hospital in connection with my formal complaint (about NHS Continuing Healthcare among other things) It was an insult. I made a 300-mile round trip to attend and there had been no proper investigation and the consultant, the subject of the complaint, simply denied everything, while a senior nurse in charge of discharge backed him up and insisted everything had been done correctly. I am going to the Ombudsman (PHSO) but I have so little faith in the system. I spoke to the PHSO’s office and I got the impression it is as much about whether the hospital had a proper complaints process than the actual events complained of. How qualified and knowledgeable are PHSO caseworkers? Do they look at things from the point of view of the law? Does anyone have any experience of taking a complaint to the Ombudsman? Thanks Glynis, I have contacted my MP several times over the last year. She did not understand NHS Continuing Healthcare or grasp the seriousness of what I told her. She wrote some bland ineffectual letters to the CCG and one of the hospitals and when the CCG told her things were resolved, which was definitely not the case, she just sent me a brief note with the phone number for the Ombudsman and suggested I should try that. The whole system is corrupt and unlawful at every level and the ignorance and inaction of MPs of all parties a disgrace. Friends and family tell me I have done everything I can and if the system is so bad there is no point fighting it. I should let it go, put it behind me. I want to do just that. Sending the complaint to the Ombudsman felt like the last hurdle. I will see what comes of it but I can’t say I am hopeful of anything that might resemble justice. I completely understand Meggie – It is so stressful & it has made both myself & my husband ill. It is totally corrupt & they are all in it together – nursing homes, doctors, CCG’s, NHS, MP’s & ombudsman. They just all seem to turn a blind eye. It is the worst process/system I have come across & these assessors are paid in excess of £90k pa to blatantly lie & fudge the process. We contacted Victoria Macdonald at Channel 4 news & she ran a piece on it on the 7pm news slot. They were inundated with comments telling the same stories. I have written to all the newspapers, but not one responded…. The doctor did agree to complete the forms for Fast Tracking Brian. After the nurse from the care home explained what she needed to do, I asked her if she would describe my husband as having a’primary health need’ and she said most definitely because of the complexity of his needs and how they impacted on each other! We were told that the Fast Track tool would be completed on the 16 May and would be effective from that date (with the help of the original assessor again). We have not received the paperwork yet but have been told it is in hand, I stopped my payments to the home from that date. Sadly it is all irrelevant now as my husband, Brian, died on the 24 May, perhaps this finally proves he had a’primary health need’! So very sorry to hear of your husband’s sad passing Susan & what you have gone through. It is an utter disgrace what is happening. The media recently reported about the NHS paying premium prices & (thousands of pounds) for exactly the same drugs that can be purchased for just £1 on line or even over the counter. Unfortunately the NHS waste so much money on things like this & overpaid assessors & administration staff, that they have no funding left for genuine needs. We have just been through the Decision Support Tool (DST) and in our opinion planned and represented our father in a clear, open and honest way. We were very professional at meeting.We had no argument with the scoring and triggered NHS Continuing Healthcare funding on the Domain scores. However, we were denied funding because the DST [Multidisciplinary Team] and Social Worker had used an ‘holistic’ approach when making there decision. So you’re stuck either way. We could go on and tell you that lots of mistakes pre & post DST meeting took place but reading everyone’s stories I feel so sad that despite overwhelming evidence and case studies that the CCG’s and Social Services are laughing all the way to the bank and have no interest in peoples well-being. WHY don’t we all join together and fight on a United Front! Lets take some more cases to court let the People make their voice heard. What happened to the LAW? DST is just a guidance tool set up for abuse and deliberate denial of peoples rights and the very ethos of the NHS. WOW! hat was very cathartic… not like me that! But is there no way to do this – a cooperative or something and fight on a different front. I think they just move the goal posts to suit their own end Chris. It is totally disgraceful what they do. Our case was due to be featured on Channel 4 News, but I was too ill (due to the stress) to do the interview & someone else kindly stepped in with a similar case with their mother. We are going to Independent Review Panel (IRP) next & then to Ombudsman if necessary, but what I have read from other people’s stories, they are all in it together. IRP is often with an adjoining CCG (Which ours will be) & if successful at Ombudsman stage, they just pass it back to the CCG to look at again. Would love to go to court, but just do not have the financial means to do that sadly. Good luck with your fight. Not that it counts for much Chris, but what do you mean by an Holistic Approach? The Framework is clear that 1 Priority score or 2 Severes is enough for eligibility ie indicates a health need. Below that gives them the discretion to decline to recommend, but not otherwise, although a Panel might request further evidence if they disagree with the scores submitted. Have you had the decision back from panel yet? If not then may I suggest you write to the CCG/CSU drawing their attention to the score system written on the Decision Support Tool and in the guidance. Add in evidence of the other mistakes you allege and reference them to the specific National Framework paragraph or Case law they have not followed. Litigation going all the way to the Supreme Court is prohibitively expensive for most mortals, and certainly very stressful. I’ve found that holding people to account locally and being doggedly “on the case” is a better use of time than wading through ever higher appeals. Well, it appears that the grading in the various domains makes little difference to the outcome. At local appeal panel they upgraded one of our relatives scores to severe, giving her 1 Severe, 4 Highs & 5 Moderates. She was still considered not eligible. They also agreed that she exceeded the needs that Pamela Coughlan had. It apparently all hinges on if the claimant has a primary health need – based on key indicators such as complexity, unpredictability etc. It appears that these are the main areas that you need to concentrate on. 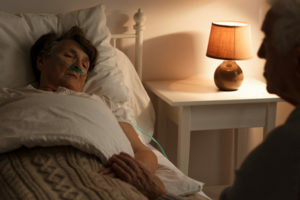 Even though she had been discharged from hospital as end of life/palliative care, because she had not been administered the prescribed palliative care medication, they said she did not have a deteriorating condition. Glynis, I am so sorry to hear the result of the local appeal panel. It is as though Coughlan and all the other court and ombudsman cases never happened. I still struggle to understand why the NHS is allowed to ignore the law. There is no “primary health need” in law and everything else is just subjective interpretations of the guidance, interpretations that always, conveniently for the NHS, deny people the healthcare they need. Will you go to the ombudsman? I think the term “Health Need” is what came from the Coughlan judgement, and therefore became case law. The National Framework added the “Primary” bit. The National Framework also introduced the concepts of Complexity Intensity Unpredictability and Nature, by which a Health Need can be evidenced and established. The only chance of “Winning” is to forensically reference each aspect of your own case to each domain using their own terminology and guidance. Even then you can’t guarantee they’ll attempt to shift the goalposts, but in essence and in my experience, that’s how to present your own facts most persuasively. I just wanted to say thank you to Angela for the excellent information in her book and also to encourage people to read the National Framework along side it. I followed the directions Angela gave and yesterday met the most helpful assessor in Brian’s Decision Support Tool (DST) meeting. After meeting Brian and reading his notes she decided she could not continue with the DST because she felt that the Fast Track tool was more appropriate. We have been given the information we need to contact his GP and to obtain additional help for Brian in terms of making sure his refusal of food is not related to physical problems and to involve the Mental Health team to see if his dementia deteriorating is causing his refusal to eat and drink. Personally I think his refusals are because HE wants to be in control of his end and not have it taken over by others! We now need to see if his GP will help by completing the fast track recommendation. Thanks for your kind words about the book, Susan. Well done Susan. This site and the book are invaluable in making progress and helping relatives who deserve nothing less. I’m glad you’ve encountered a helpful assessor, there are some, but not many in my experience! A word of caution about GPs, as many have never heard of NHS Continuing Healthcare, and they assume it is something Social Services do. Keep at it. Thanks for your kind feedback, Jenny. Hi Susan, I’m glad things are looking more hopeful. Just a word of caution re Fast Track and GPs. Different areas of the country all seem to have their own custom and practice processes (which often seem to ignore the existence of NHS Continuing Healthcare (CHC) and this is what happened to us last year when Dad deteriorated in the final weeks of his life. The hospital refused point blank to Fast Track insisting he didn’t have a terminal illness and less than six weeks to live. Nothing I quoted from the National Framework made any difference. We discharged him (despite the hospital threatening us with the police and arrest) and a GP visited him at home the following day. Within minutes of examining him she said she would Fast Track him and told us she believed he did not have long to live. However, she did not complete the CHC Fast Track paperwork and no care materialised. I discovered that Fast Track to the GP did not mean CHC at all (she knew nothing about CHC), it simply meant arranging district nurse visits for palliative care and arranging 4 brief care visits a day from HCAs. Dad at this stage was so ill he needed round-the-clock nursing. My sister, myself and a privately engaged carer remained responsible for this. The penny dropped when I recalled a discharge nurse in the hospital asking why we wanted Dad Fast Tracked as it only provided 4 care visits a day. Clearly the NHS in the area Dad lived just didn’t provide CHC through Fast Track and instead offered a much cheaper alternative with the same name. The GP didn’t know any better and the surgery I learned had never completed CHC Fast Track paperwork before. I had to contact the CCG (several angry and distressed phone calls) to ask why care had not been put in place within 48 hours. Realising I knew what CHC/Fast Track was the CCG was forced to get a district nurse to complete the paperwork and back-date it and we eventually got CHC for Dad for the last few weeks of his life. Even at this stage you will need to be persistent and ensure things are done properly. Good luck. Hi Jenny – yes it went to local appeal about 5 weeks ago – we should hear in about a week, but I am not holding my breath. It is just the most corrupt process ever. The ratification panel even downgraded one of the domains to Moderate (Which they are not allowed to do) & put it back up again when we proved to them that on the previous Decision Support Tool, the exact same panel had agreed should be High & her needs had actually increased (Medication domain apparently has to be graded High if a class A drug is being administered). It is an utter disgrace. We will go to Independent Review Panel & Ombudsman if necessary, but from what I have read, they all work hand in hand…..
My husband is in a nursing home following a severe stroke 3 &1/2 years ago. I will be attending his third review today, he has previously been awarded NHS Funded Nursing Care. He has had 3 heart attacks, has angina, excema which keeps getting infected, heart failure and vascular dementia, he’s had previous TIA’s, has swelling ands pain in his left leg/foot, issues with infected toe, spells of breathlessness due to heart failure and has been in bed 99o/o of the time since he had his stroke. Still he hasn’t manage to get NHS Continuing Healthcare. Now he has stopped reading (almost 3 weeks), drinking only the occasional sips and not taking most of his medication (because he ends up being sick and bringing them back up!). And he sleeps most of the time. The hospital say he can’t be rehydrated because it would depress his breathing and his sodium level is now over 150 (irreversable). What do I have to say/ do to get him full funding? clinical nurse assessor plus a social worker and any people relevant to your husband’s care? ), I’d either appeal or request a Fast Track Assessment from the GP or direct to the CCG or CSU in your area. Get really well prepared using this site, and Angela’s book. Make sure all the conditions and their effects and needs are matched against the various domains. Show how they inter relate to demonstrate complexity. It’s a really good idea to download the DST read the domains, and do your own draft and scores which you can refer to and argue during the assessment. Make sure that someone from the care home who deals with your husband during the day is there and gives examples of his health needs. My mother in law had a rapidly deteriorating condition, so much so that she passed away within 5 months of the DST being completed. 4 months prior to the Decision Support Tool being completed. She was designated as “end of life” / “palliative care”. She required 24 hour nursing care, was completely immobile, malnourished & required special foods, on 24 hour oxygen & saline drips, doubly incontinent, epileptic, heart & renal failure, on class A drugs, had sever contractures, plus quite a few pressure sores. She was given a number of High scores & most of the others Moderate (although we believed that 2 of the High scores should be graded as Severe as her needs were the exact wording of the Severe criteria). However she was still deemed to be not eligible. Did you appeal Glynis? Difficult at the time I should imagine, as she was obviously very unwell, but hard to imagine how they concluded she didn’t have a Health need. It is terribly sad that we have a l health service that doesn’t see people like your mother-in-law as eligible for healthcare. As Jenny writes it is hard to imagine how anyone could conclude that she did not have health needs. 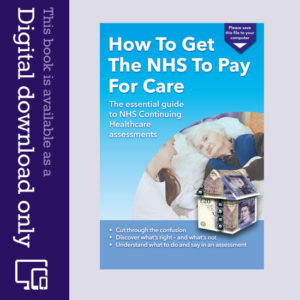 This site and Angela’s book are excellent at explaining how Continuing Healthcare is supposed to work. Sadly, it is clear from so many stories on the site and my own father’s experience that some hospitals, CCGs etc are simply determined to find people ineligible regardless of how ill and in need of care they are. Thank you for your kind words about the website and the book, Meggie. I agree Meggie – we purchased Angela’s book & with a great deal of help both on the website & the Facebook page, we have been able to put together a 32 page document detailing evidence as to why we felt she should have been eligible. It is quite alarming the underhand things that go on. For instance the Lead assessor was also the coordinator & chairman of the ratification panel (although she said she left the room when our case was heard. My mother in law was totally bedbound & was even too ill & frail to be hoisted to be weighed and had not been out of her bed for over 12 months, however when the Decision Support Tool (DST) took place at the nursing home, somehow the home managed to hoist her, put her in a chair & wheel her down to the lounge for half an hour. Which of course was recorded on the DST as “hoist/transferable” etc. She had a severe chest infection after they did this. We have been refused notes from the nursing home – they said that we could go & take a look at them knowing we live over 250 miles away. We did not want to force the issue in case of any recriminations against my mother in law. The stress has been unbelievable. Glynis, It feels as though the NHS will do just about anything to avoid having to provide long-term care to very ill elderly people. In my experience there is no compassion for them at all, or for their families. At such a difficult time we should be able to rely on our health service to provide healthcare not just assessments which, regardless of how ill someone is, are just a waste of time and money. Their sole purpose seems to be to deny care to people who are so obviously very very poorly. It is heart breaking reading descriptions like yours of your mother-in-law and learning that trained nurses, doctors etc didn’t regard her as ill enough to be eligible. So much for Coughlan compliance and the law. As you say, the stress is unbelievable. I am attending a meeting following my formal complaint about what happened to my father but I fully expect to be fobbed off. Just as assessments do not honestly and genuinely assess peoples needs the complaints process is not about addressing complaints. Its just a process designed to wear you down and make you give up. What good is a letter, such as the one I received, saying the hospital is “sorry” that I “feel” let down by what happened. I am dreading the meeting as it will bring everything back and I know I won’t find it easy to stay calm when faced with the very consultant who refused point blank to Fast Track Dad and started talking to him as he lay dying about his savings and whether he owned his own home. Or the matron who in responding to my complaint denied many of the things I complained about had even happened, as though I had made it all up. It will all go to the ombudsman but nothing can change what happened.